Since the classical debates and speeches in Homer, Demosthenes, and Thucydides, public speaking and argumentation have served in the cultivation and expression of orderly thought. Students who participate in speech and debate gain confidence and an ease in public speaking; they statistically improve in critical thinking, oral competency, reading comprehension, and test taking; and they consistently attain higher academic degrees. College admission counselors and business leaders frequently commend speech and debate students, saying that these students have the communication skills necessary to flourish in a global economy. More importantly, however, at Trinity Christian School, speech and debate are designed to train students with a Christian worldview in the logical and persuasive presentation of truth. Our program focuses not merely on the acquisition of skills, but on helping students develop teamwork and good sportsmanship in challenging situations with competitors, handle losses as well as wins, and ultimately learn to recognize that even our best efforts are successful only through God’s blessing and grace. Competing in the Hawai’i Speech League allows students to take the knowledge and skills they acquire within the grammar, logic, and rhetoric stages, and put them to the test within a wider environment. Students who receive a high ranking at a qualifying tournament receive the privilege of competing at the State Championships, held each April at Punahou and Kamehameha Schools. Since the establishment of our program in 2012, Trinity students have competed at States and received Championship titles in Impromptu Speaking, Humorous Interpretation, Storytelling, JV Policy Debate, Varsity Policy Debate, and Championship Lincoln Douglas. 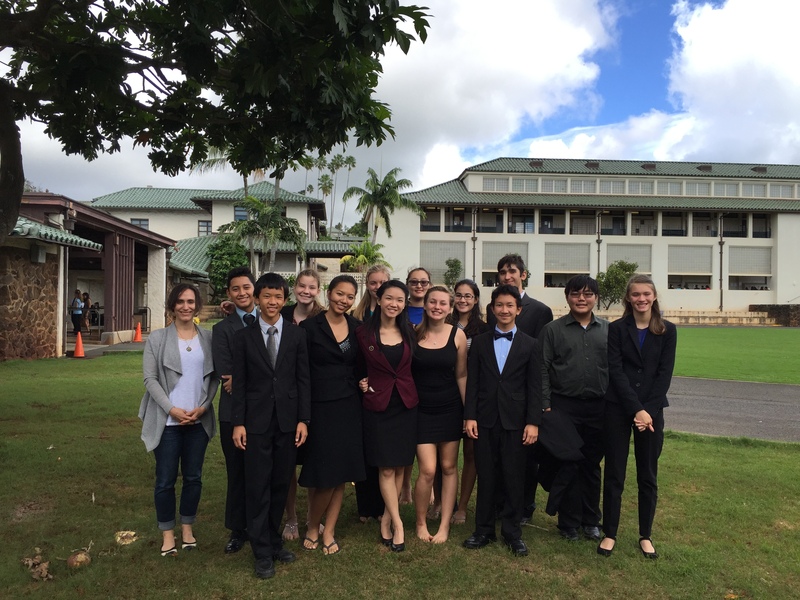 In 2016 and 2017, Trinity students also received the National Speech and Debate Association (NSDA) Hawaii District Student of the Year Award. Our program focuses not merely on the acquisition of skills, but on helping students develop teamwork and good sportsmanship in challenging situations with competitors, handle losses as well as wins, and ultimately learn to recognize that even our best efforts are successful only through God’s blessing and grace. Students who take 1st or 2nd place in a national category at the State Championships qualify to compete in the National Tournament, the largest academic competition in the world, hosted by the NSDA. Trinity students have traveled to Nationals and competed in Humorous Interpretation, Original Oratory, Policy Debate, and Lincoln Douglas. ‘The Feather of the Firebird’, Storytelling Speech, Molly Krulak from WE Media Services on Vimeo. For instance, see Minh A. Luong, “Forensics and College Admissions,” in National Forensic League Rostrum (Vol. 75, Number 3), November 2000, https://www.speechanddebate.org/wp-content/uploads/Forensics-And-College-Admissions-Minh-Luong.pdf; and Robert Sher, “How to Find the Millennials Who Will Lead Your Company,” Forbes, March 2, 2014, http://www.forbes.com/sites/robertsher/2014/03/02/how-to-find-the-millennials-who-will-lead-your-company/#3070de9c142b.